New to the latest edition of the A-Z CD are two Flash Application Presentations for the V2-Municipal?Flowmeter and the Ultra Mag®Flowmeter. The V2-Municipal features a built-in transmitter with flow computer and a high-accuracy, space-saver design for crowded municipal water plants. The Ultra Mag Flowmeter was developed with rugged UltraLiner?technology for use in harsh slurries or sludge environments. The A-Z CD now includes literature and specification information for the popular V2-Municipal Flowmeter for the first time. It contains a complete McCrometer technical library, which also includes data for McCrometer's V-Cone®Flowmeter, Wafer-Cone®Flowmeter, Mc®Propeller Meter and Water Specialties Propeller Meter?product lines. The convenient A-Z CD makes it easy for busy process and plant engineers to find innovative, reliable and cost-effective flow measurement solutions. 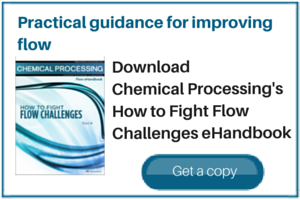 It is not only avaluable end-to-end reference guide, but it will help them solve intricate flow problems and advanced applications. Technical staff will benefit from using this time-saving reference tool that contains the most current system requirements and other data useful in day-to-day operations. flow meter technologies and solving complex liquid, steam, and gas flow measurement problems across a wide range of industries: Municipal/Industrial Water & Wastewater,Oil & Gas, Chemical Processing, Process Control & Plant, Electric PowerGeneration, Institutional Facilities and Agriculture. ThepatentedV-ConeFlowmeter solves challenging fluid applications, and operates in some of the harshest industrial environments. This advanced differential pressure-type (DP) flowmeter offers high accuracy and repeatability, flexible installation, and little to no maintenance for the widest range of fluids. The versatile Wafer-Cone® Flowmeter offers superior accuracy and repeatability in an easy-to-install, space-saving instrument for small line size processes and plant infrastructure. The product requires almost no maintenance and its long life reduces total installed and life-cycle costs. With its leading-edge propeller flow sensing design and rugged packaging, the Mc® Propeller M0300 Flowmeter sets the industry standard for liquid flow measurement performance, ease-of-use and value. It is ideal for application in agricultural, horticulture, turf and other irrigation applications requiring high volume water use. The Water Specialties Propeller Meters from McCrometer are designed and manufactured with precise techniques and high quality components. They offer superior performance, low maintenance and unsurpassed durability. Meter materials and flow ranges for low velocity construction meet or exceed AWWA standard C704.